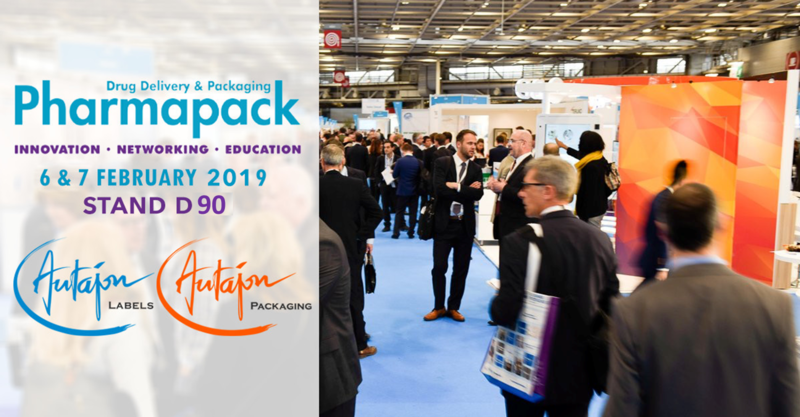 Meet the Autajon Group at Pharmapack 2019 in Paris, on February 6th and 7th at booth D90. Pharmapack Europe is an exhibition dedicated to the pharmaceutical packaging and drug delivery systems industry. Each year the show brings together more than 400 exhibitors and 5250 participants for two days of exhibition, conferences and innovations. Join our Autajon Packaging (Montélimar SP, Durero, Belgium) and Autajon Labels Rouen teams at stand D90, specialized sites in packaging and label solutions for the pharmaceutical market. Find out more about Pharmapack.